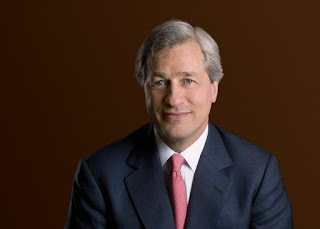 Following the fluctuation in Bitcoin price in 2017, JPMorgan Chase Chairman and CEO Jamie Dimon has said in an interview with FOX Business Network that he regrets his past comments in which he called Bitcoin a fraud. “It’s just not a real thing, eventually it will be closed”. … which (his statement that Bitcoin is a fraud) I regret making, The blockchain is real. You can have crypto dollars and yen and stuff like that. ICOs you have to look at every one individually. The bitcoin was always to me, was what the governments are going to feel about bitcoin when it gets really big? I just have a different opinion from other people. I am just not that interested that much in the subject at all, so I’ll leave that to everybody else to figure out what they really want to do with that. Despite taking back last year’s fiery statements, Jamie Dimon has not changed his mind about the fear of investing in cryyptocurrency since he is still unsure of how governments are going to feel about bitcoin when it gets really big. Do you think JPMorgan will eventually fully go into bitcoin investment? For recent news on cryptocurrency and investment please follow us on Twitter and Instagram @mntrendsblog. You can also like us on Facebook “Mntrends Blog”or you may subscribe to our newsletter below.